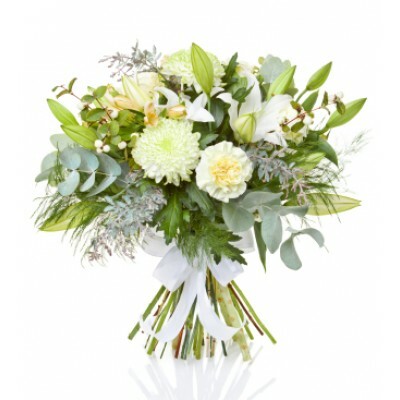 Porto Alegre Flower Bouquet is made of an exquisite combination of beautiful white blossoms and lush greens which provides an elegant way to deliver your expressions of comfort and sympathy. Elegant bouquet filled with positive thoughts and energy. 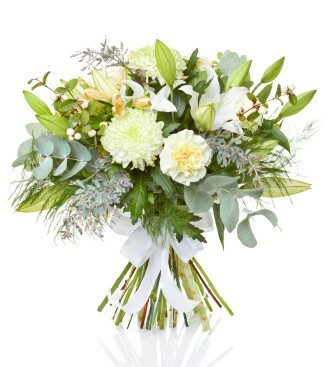 This combination of beautiful white blossoms and lush greens will bring warmth to your special recipient.